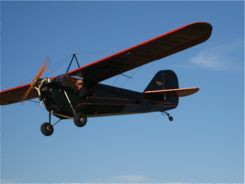 Antique Airplanes and autos too! 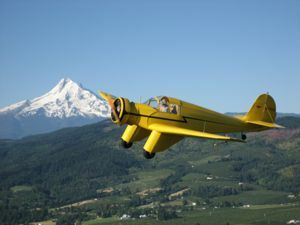 Since it's our fly-in, we're partial to the Hood River Fly-In. 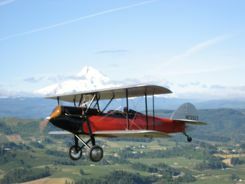 The annual Hood River Fly-In is always the weekend after Labor Day. It's also now known as the WAAAM Fly-in. WAAAM is the Western Antique Aeroplanes and Automobile Museum. 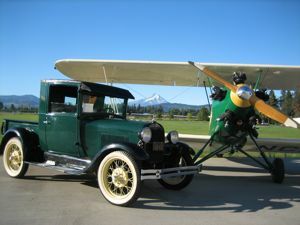 We opened our doors for the first time in 2007 at the 2007 Annual Hood River (Oregon) Fly-In, and with the museum now open and participating, we think we have a great event. The dates for 2010 are Sept 10th, 11th and 12th. On Friday, planes arrive, but there are no public activities. You're welcome to come see the planes arrive though. There are public events and planes arriving and departing all day on Saturday and Sunday.